Another great day in the field. In Grid 51 they have a sunken jar on a shell pavement. They found an Eye of Horus today. Make that two, Kate reports! 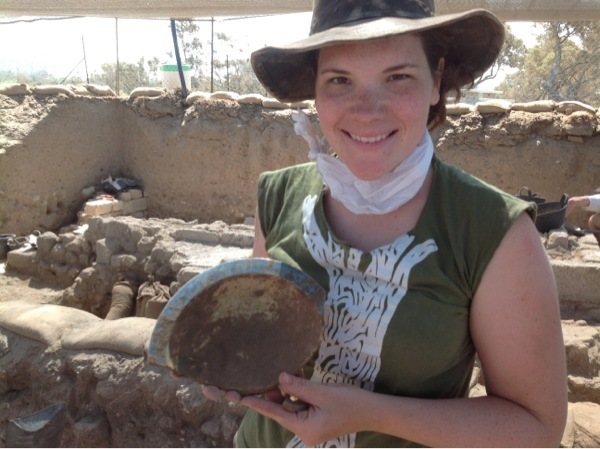 In Grid 38 they continue to expose more of early Iron Age Ashkelon. I need to photos of both these areas. Kate has promised one for tomorrow and I'll see if I can't get one of Grid 38. In Grid 44 we found, surprise, more drains. You can just see Jeff poking his head out of one of them and then Julia holding a pot she found in a second drain.